In the second of a two-part series, Marula Tsagkari explores how today, we are participants in a complex and severe crisis, and a radical crisis requires radical solutions. Through a number of examples it became obvious that in Greece there is groundwork for a transition to sustainable degrowth. There are seeds in the numerous social movements, voluntary actions, and solidarity networks. What remains to be seen is if the seeds will flower. The ‘do you want milk’ cooperative started in 2011, and, despite the crisis, now counts more than 60 sell points, 50 farms, and, on a daily basis, they produce 10% of the domestic production. One initiative is the ‘do you want milk’ (thes gala) cooperative. The cooperative is made up of milk producers from central Greece and supplies with fresh milk a number of ‘milk ATMs’ in Larissa, Athens, and Greece. Consumers can fill their bottles with fresh milk, produced less than 24 hours ago, with a cheaper price than can be found in the supermarket. The cooperative started in 2011, and, despite the crisis, now counts more than 60 sell points, 50 farms, and, on a daily basis, they produce 10% of the domestic production. 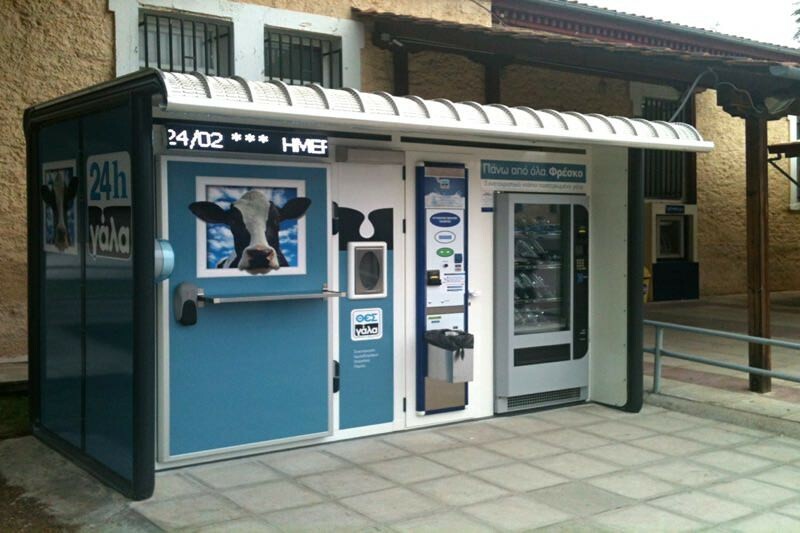 Thes Gala Cooperative Milk Vending Machines. Source: popupcity.net. 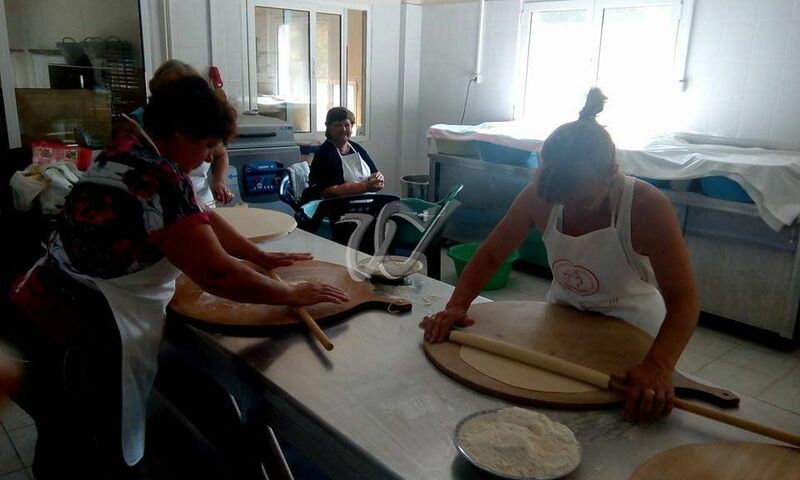 Workers of the VioMe factory, one of the first worker co-operative initiatives in Greece. Source: thenews.coop. * Marula Tsagkari is a researcher, and environmental professional from Athens, Greece. Her research focuses on the areas of Environmental Politics, Policy and Justice especially in the European South. This is the second of a two-part series, originally published by Uneven Earth. just back from athens where i saw the milk ATMs and had a few good discussions with the locals. they summed up the situation as a kind of paradox and like all mythos running under the fake news/alternative truths, there will come a cyclic upswing via resilient people: you cannot keep an ancient people down for long with a passing System.